School’s out for summer, but it’s not out forever. 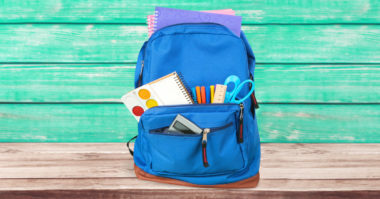 A return to classes is just around the corner, which means we’re entering an important time for many retailers: back-to-school shopping season. The millions of students and their wallet-wielding parents—who are stocking up for the year ahead—is a huge opportunity for brands, but it also presents some challenges. Specifically, it can be difficult to get reliable, actionable information on market conditions and consumer behavior during this relatively short period. What exactly is the size of the back-to-school market in 2017? How is digital impacting research and purchase habits? What are people shopping for? Which approaches can work to boost sales? 7,226 U.S. consumers involved in either back-to-school or back-to-college purchases. How Much Do People Spend During This Season? Put simply, the scale of this shopping season is massive. In fact, it’s second only to the winter holidays in terms of total consumer spend. The NRF analysis projects that back-to-school (BTS: kindergarten through grade 12) spend will reach $29.5 billion this year, up from $27.3 billion in 2016, and back-to-college (BTC) spend will reach $54.1 billion, up from $48.5 billion last year. The average BTS household is expected to spend $688 this year and the average BTC household is expected to spend $970. Back-to-school shopping alone (i.e., not including college students/families) involves 29 million households and 53 million children. When Do Consumers Make Purchases? The Deloitte analysis found that 71% of BTS spending occurs during the eight-week period between the beginning of July and the end of August. Some 60% of consumers begin shopping before August and 39% begin in August; 1% of shoppers wait until September before starting to purchase. What’s important to remember is that there are major variations in timing based on when school starts. For example, in the South, where the first day of school tends to be earlier, some 70% of BTS consumers begin shopping before August. In contrast, only 40% of consumers start before August in the Northeast, where the first day of school tends to be later. What Products Are Consumers Shopping For? So what are consumers spending on? For the $688 average back-to-school spend, $239 goes toward clothing and accessories, $204 to electronics, $130 to shoes, and $114 to school supplies/stationery. For the $970 average back-to-college spend, $229 goes toward electronics, $143 to clothing and accessories, $134 to food items, $106 to dorm/apartment furnishings, $81 to shoes, $81 to personal care items, $70 to school supplies/stationery, $69 to gift cards/prepaid cards, and $57 to collegiate gear. Are Consumers Shopping In-Store or Online? Have BTS and BTC consumers abandoned brick-and-mortar stores in favor of e-commerce? Absolutely not. A major takeaway that emerges from both pieces of research is that most consumers shop both online and offline. Moreover, they purchase from a range of different types of stores. For back-to-school shoppers, some 57% say they make BTS purchases in department stores, 54% in discount stores, 46% in clothing stores, 46% via online stores, 36% in office supply stores, and 25% in electronics stores. For back-to-college shoppers, some 44% purchase online, 40% shop in discount stores, 39% in department stores, 34% in college bookstores, 29% in office supply stores, and 26% in clothing stores. Overall, more than two-thirds of BTS shoppers say they expect online and physical shopping channels to complement each other. In addition, some 20% say they are undecided about making some purchases online or in-store and could be persuaded by promotional efforts. How Are Consumers Using Digital Channels and Devices? When it comes to digital devices, one insight from the research is that shoppers use them in a wide variety of ways. For example, when it comes to desktop computers, some 76% of BTS shoppers say they use them to access retailer websites, 64% to check price information, 60% to make purchases, 53% to collect discounts/coupons, and 48% to compare products. Smartphones use is different, but also varied; some 61% of BTS shoppers use them to collect discounts/coupons, 61% to check price information, 58% to access retailer websites, 45% to make purchases, and 44% to access shopping apps. Along similar lines, social media is used in a range of different ways. Some 27% of shoppers say they access social networks as part of the back-to-school shopping process. Among this group, 75% look for promotions/ads, 64% seek out coupons, 43% browse products, 40% read reviews/recommendations, and 27% visit retailers’ pages/accounts. One more thing to note is that consumers also are open to technology being integrated into physical retail experiences: 77% of BTS shoppers say they would use new digital in-store technologies that offer value and convenience. What Motivates Shoppers to Purchase? Finally, what can retailers do to entice consumers who haven’t decided where they’ll purchase? Free shipping is the big win here: 68% of undecided BTS shoppers say it’s valuable. Other effective enticements include deals/sales (cited by 65% of undecideds), the option to buy online and return to store (52%), and loyalty program rewards (49%). As for increasing planned spend, one effective tactic is sales tax reductions/holidays: 53% of BTS shoppers say they’re likely to spend more in-store when tax relief is offered and 44% say they’re likely to spend more online. This openness to a mix of different enticements fits with the profile of back-to-school shoppers overall. Ultimately, this group isn’t set on certain stores, channels, or technologies. Rather, these consumers are open to utilizing a wide range of options in order to purchase in the simplest, most cost-effective ways possible. Keep up with the latest trends in retail marketing. Contact MDG Advertising today at 561-338-7797 or visit mdgadvertising.com.